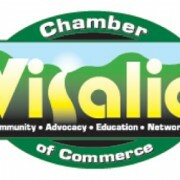 VISALIA – The board of directors for the Visalia Chamber of Commerce is seeking applications for the position of president/CEO. This is a senior leadership position within the community, interacting on a regular basis with civic and business leaders. The Chamber president/CEO works with the board to develop a program of work that advances economic vitality for the community and member businesses. Primary functions include board administration, staff and program development, financial management, membership development, community and government relations, marketing and sales, revenue enhancement through sponsorships, advertising, and program revenues. The successful candidate for this position will demonstrate prior senior-level management experience in a chamber of commerce or similar organization. Demonstrated success in collaborating with businesses, community staff and elected leaders, and partner organizations is essential. A bachelor’s degree in business, marketing, or related field is required; a master’s degree is preferred. Demonstrated knowledge of business and non-profit financial management is required. Demonstrated experience with current technological needs of an organization (websites, database management, social media) and a strong working knowledge of Microsoft Office applications is important for this position. Located in the heart of California’s Central Valley and at the base of the Sequoia & Kings Canyon National Parks, Visalia serves as the economic center of a region known as the most productive agricultural zone in the United States and is the center of a trade area with a population exceeding one-half million residents. In addition to its strong agricultural base, Visalia benefits from a diverse economy with strong retail, professional, distribution, manufacturing, and health care sectors. Visalia provides a high quality of living with a wide variety of cultural and recreational opportunities. Residents are proud of the City’s reputation as both a well-planned and business-friendly community. The Chamber offers a competitive compensation package commensurate with the candidate’s experience and qualifications. This position will remain open until a candidate is selected, but the board expects to review initial applications by the end of May. Applications and letters of interest should be submitted to HR@VisaliaChamber.org or sent to CEO Applications, Visalia Chamber of Commerce, 220 N. Santa Fe, Visalia, Calif. 93292.